(MoneyWatch) "The Clash of the Cultures: Investment vs. Speculation" is investing pioneer John C. Bogle's tenth and last book. It is an enjoyable read that ends with 10 lessons for investors that, while simple, are deeply valuable to the general public. I even developed my own scorecard to keep track of how the clash that Bogle, founder of mutual fund giant The Vanguard Group, alludes to is developing over time. 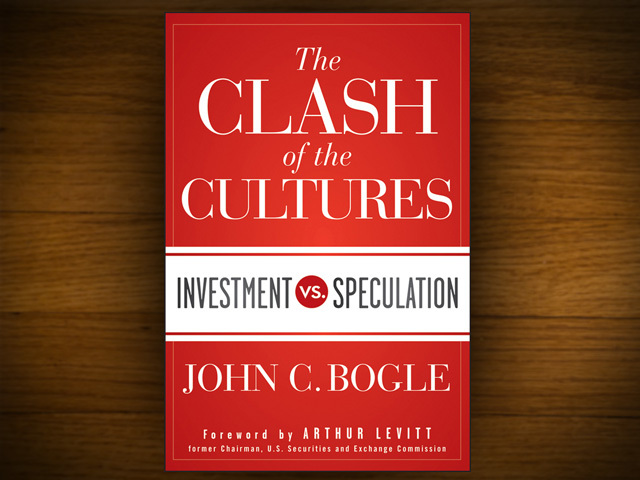 Clash of the Cultures is a great summary of the breadth of Bogle's 60-plus years in the investment field. He offers observations on the shocking change in the culture of finance that he has witnessed first-hand. Among the most important of the shifts is that short-term speculation has crowded out long-term investment. Though this has been great for the financial sector, it has come at the expense of the public. 10. Stay the course. The secret to investing is there is no secret. When you own the entire stock market through a broad stock index fund with an appropriate allocation to an all bond-market index fund, you have the optimal investment strategy. Discipline is best summed up by staying the course. Bogle's book raised some concerns for me over the future of this great clash of the cultures, yet it also left me with hope. One reason is he notes that index funds represented only 3 percent of equity assets 20 years ago compared with 28 percent today. And though Jack Bogle will never be able to convince most financial professionals of their disservice to clients, he appears to be having success persuading an increasing number of investors to keep away from the fox.